San Mai construction with marvelous SG2 core and handsanded finish! Handle is made from resin and has beautiful depth in it…Stainless steel bolster, 3 hidden pins and 2 Corby pins just for over engineering! 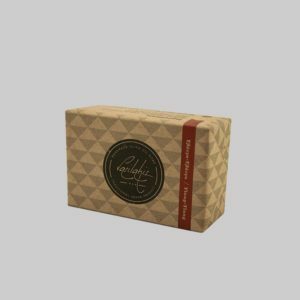 It comes with leather roll and papers! Making knives is difficult. 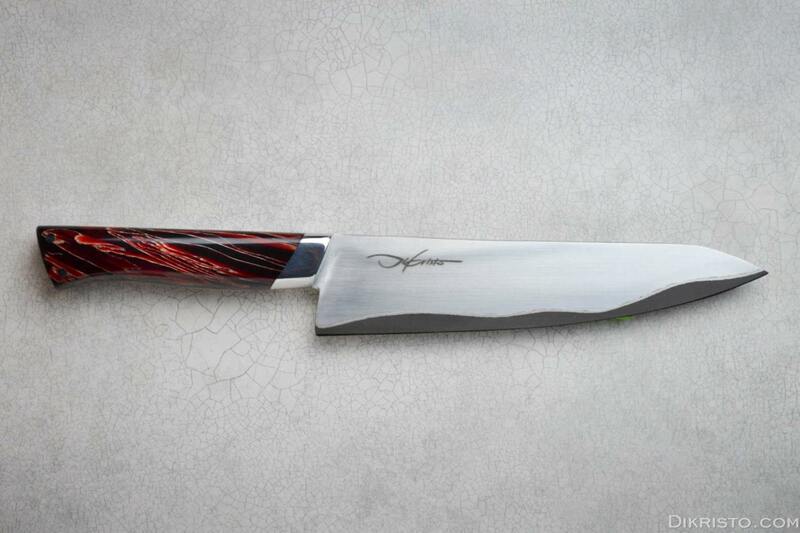 It requires knowledge, skills, patience and above all, Passion… For knifemaker Dikristo, offering you the absolute best is an obsession. 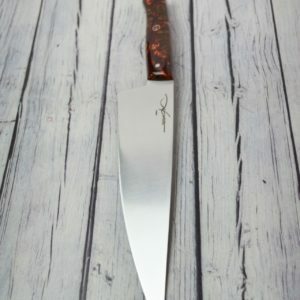 “I am always looking for the rarest and most unique materials to combine them with extreme techniques in order to craft the finest kitchen knives. Not compromised by margins and profits. 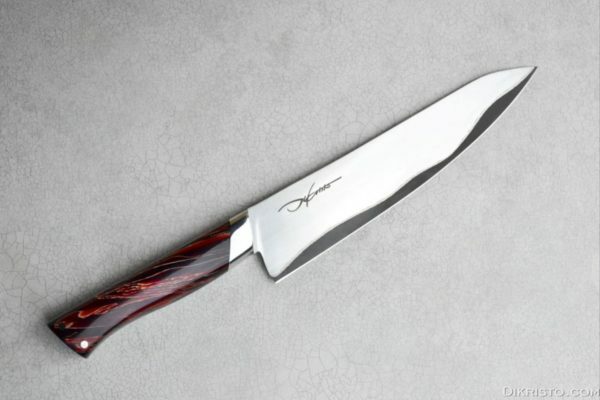 It’s both my choice and duty to offer you the best knife you have ever had”. All Dikristo knives are handmade made by Dikristo in his shop is based in Greece. 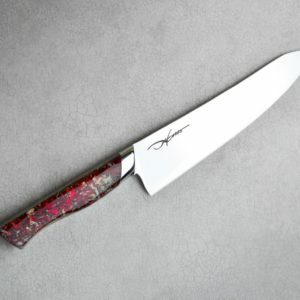 PRO, is a dedicated knife line for professionals and knife enthusiasts. 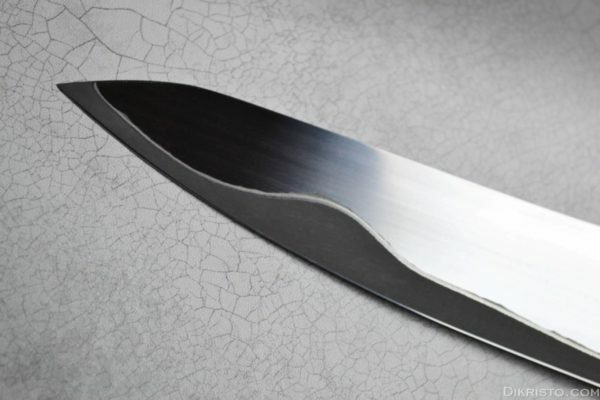 Made from Vanadium & Niobium carbide, stainless steel it combines the best balance a kitchen steel can get, razor sharp with long lasting edge but also stainless! 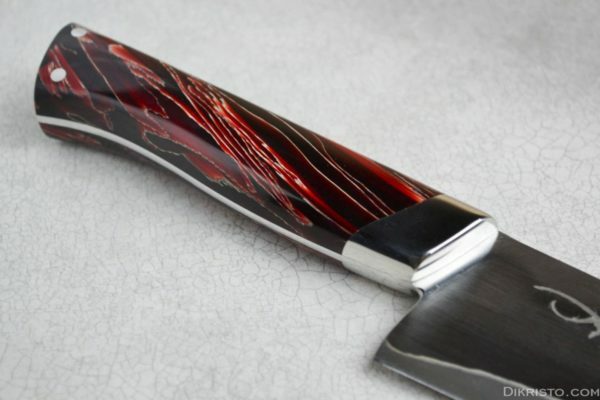 The handle is ergonomic for long working hours but also unique as amazing handle materials are used. This series was designed to be versatile, durable and reliable but also elegant and beautiful in order to become extension of your hand. 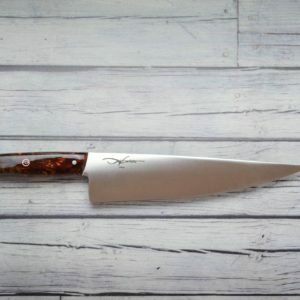 PRO line comes in two types: a Chef’s and a Gyuto to choose your style of preference, all with 2 years warranty, elegant box and genuineness/authenticity papers. •	Thin and light. Nimble, razor sharp cuts, made for working many hours. •	Unique geometry. Made for chopping, push/pull cut and rocking. 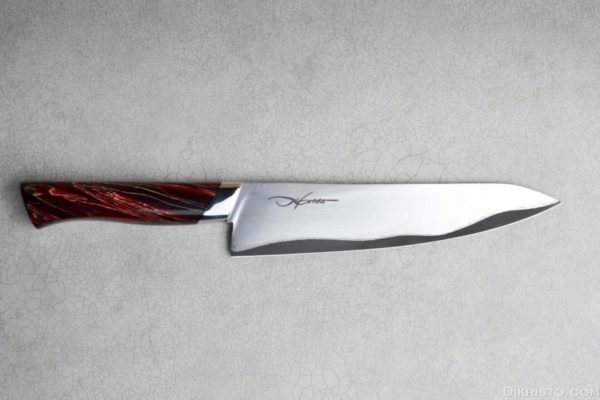 •	Designed to be versatile for slicing, filleting, chopping, dicing. •	Unique Handles. Made from stabilized wood, resin and more. 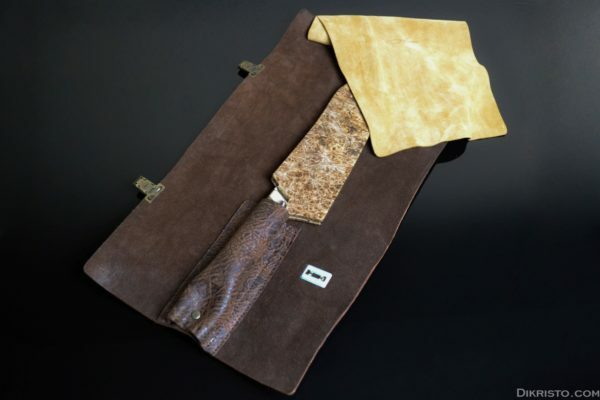 EXCLUSIVE line knives are one of a kind, super special project and custom knives. This series is dedicated for those who need something really exclusive in their collection. High end supersteels made only for industrial and the rarest handle materials combine under imaginative designs and procedures. 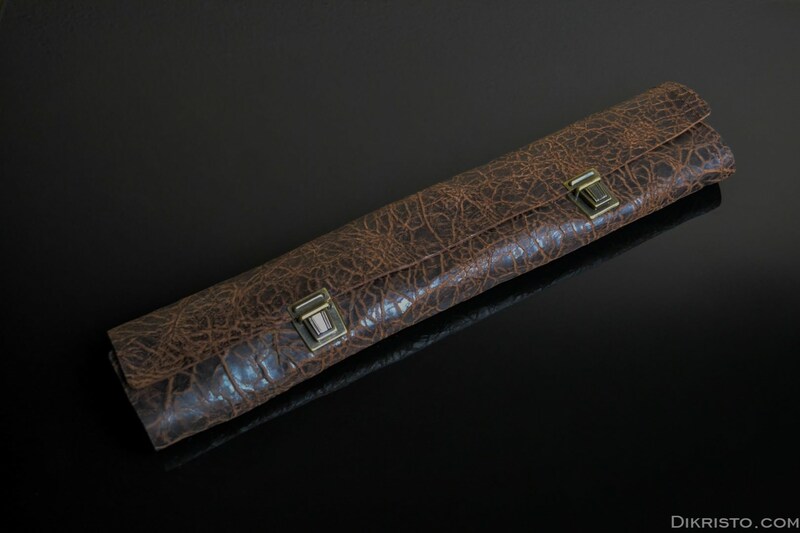 Every knife has its own, unique, name based on Greek mythology and comes with handmade leather knife roll/ wooden box and authenticity papers! •	Supersteels. Steels with special characteristics and unreal edge durability. •	Super rare geometries. 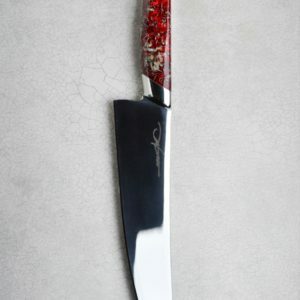 Ultra-thin knives, combined grinds and more. •	Designed based on specific needs and tasks. Sashimi, chopping etc.